The parent company of the iconic marijuana culture magazine High Times is looking to attract a large number of small investors as the publication works to go public, bolster its brand and shore up a balance sheet mired in debt. The company, High Times Holding Corp., has set out to raise up to $50 million through a Regulation A+ offering. 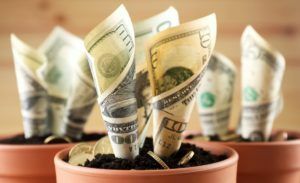 The relatively new funding tool allows companies to raise up to $50 million through a wider pool of investors – both those with and without deep pockets. But paperwork filed late Tuesday with the U.S. Securities and Exchange Commission could signal that the company’s fundraising efforts – some of which have been unconventional – may be stalling out. For its initial public offering (IPO), the company is peddling 4.5 million shares at a price of $11 per share with its sights set on a listing on the Nasdaq. But the firm still needs to meet a number of financial and regulatory benchmarks for that to happen. Among the stipulations: The company must receive a minimum of $17.2 million from the offering, according to filings with the U.S. Securities and Exchange Commission (SEC). If it can’t list on the Nasdaq, High Times has said it would turn to over-the-counter markets in the United States or to Canada exchanges. If High Times is able to raise the full amount – which would give the company a $288 million valuation – about $16 million would be used to expand the firm’s events lineup and bankroll potential acquisitions. The company currently has a stated valuation of $225 million – a value “arbitrarily determined by the Company and not based on book value, assets, earnings or any other recognizable standard of value,” according to its SEC filing. But another large chunk – at least $13.5 million – would go to pay off debts to Chicago-based ExWorks Capital, according to High Times’ prospectus. That could be an issue for prospective investors who would essentially be covering the wagers placed by current High Times investors. A look at the company’s financials reveals sizable losses and sluggish sales. High Times posted $14.5 million in sales in 2017 – down slightly from $14.6 million in 2016. Losses in 2017 rang in at $24.7 million, widening from $2.9 million in 2016. But on Tuesday, High Times filed paperwork to extend its offering period from Sept. 13 to Oct. 31. The maneuver is a possible signal that the California-based firm is still working to reach its fundraising goals, although High Times officials could not be reached for comment. High Times has deployed unconventional efforts to lure investors as it leans on rules tied to Reg A+ offerings that allow companies to advertise their IPOs on websites and via social media to reach smaller investors. In early August, High Times said it would accept the cryptocurrency Bitcoin from potential investors eager to buy stock, but the firm backed off that pledge later in the month. In a filing with the SEC, the company said the announcement was “distributed in error.” No additional details were disclosed. “High Times has been a major cannabis supporter for the past 44 years, and now we’re excited to give our community the opportunity to join us as shareholders and have the chance to watch their investment grow with the company. The tactics garnered criticism from some industry analysts, including Alan Brochstein, founder of 420 Investor. That’s exactly what the company’s leaders are banking on as they make their pitch to investors. In 2017, Levin’s Oreva Capital purchased a controlling stake in the company for $42 million. At the time, it was one of the largest deals in the cannabis industry. Under Levin’s management, the company has continued to ramp up its event-based programming, such as the Cannabis Cup, which generated more than 75% of the firm’s revenue in 2017. The company also is working to grow its share of revenue coming in from licensing deals. Through that line of business, the High Times name has been slapped on everything from bongs and cannabis accessories to home urine test kits. If all goes as planned, the company’s name could even be associated one day with a line of dispensaries – or other plant-touching lines of business, Levin has said. I threw 500 bucks at it. Almost like a $10 bet on a hard eight on the craps table. If it pays out, yeah for me, if not, I’m not going to the poor house because of it. High Times has been around since I was a kid. I’ll invest $500. Then afterwards I will watch the money roll in or just roll another joint. Why not. Many states legalized growing of marijuana so many people will want information and tools to do it correctly. Like myself. Even if $500 doesn’t make us millionaires, most likely we just break even or make few thousand dollars. Same here.. 500 bucks to see an old company restart and reboot their cannabis cup would be worth it.. They should come to MA and help a brother out with a dispensary ? While this looks good and I really like and respect High Times the things they are known for have slipped away to other legal publications. If I were running this project I would tie the magazine to a brand of Cannabis but it would have to be distinct. And the only way to do that is to tie it with high end (High Times) sativa. Brand nothing that isn’t 80 to 100 percent sativa. I say this because after reading tons of reviews high end sativas are short on quantity because they cost more to grow and yield less product. That would be the intelligent thing to do before the opportunity passes them by. And instead of planning startups just do what Trader Joe does. Go to local in that state small growers and set them up to produce your brand. HighTimes for me has been in and out of my life throughout but it always left a certain taste in my mind. Unusual and unique but informative and interesting. I splurged $200 knowing it could flourish or dip into the valley of stems and seeds…sifting through in hopes of a surge of high profits. Lol! What happens to our shares if they don’t get listed on an exchange! I guess we get some expensive wallpaper. I am worried about the same thing. What happens to my money if HT doesn’t get on the exchange. When I first invested I could get a real person on the phone for HT investing. Now the same number never is answered and there is no return calls after I leave a message to call me. It is like they have my $$ and no one is accountable to ask questions. I am getting worried and annoyed. I’m impressed that High Times is going after Events business/revenue. There’s real growth potential there. Does anyone know if they have real competition in this space? Of course there is ‘real competition’ in that space. Promoting events can be extremely rigorous business. Hightimes has the media avenues to do it. I gave them 550.00 just for fun, and then asked for it back a week later after seeing some other investment opportunities that seemed like more fun. It’s been 7 weeks and they haven’t returned any emails or live chats until last week 🙂 lmao. last week they said “it’s processing”, and I’m thinking, it took 1 day to take my money and 6 weeks to give it back, maybe they really are broke. Nick, How did you contact them to get your money back? I can’t find a phone number anywhere. Thanks everyone for the information. I have been thinking about purchasing shares but was concerned when they’d ask for my social security number on line. Plus I had forgotten my password and the email back was flagged as Spam. Guess I’ll wait to invest but feel I may be missing my chance on this. I thought I made an investment. How does it show on my bank statement? DONT BUY ANY STOCK. THEY DONT RETURN EMAILS AND THE PHONE IS DISCONNECTED. NOW I HEAR SOME OTHER CO. Has bought high times. i dont know where my stock is let alone if they it. total ripoff. david thurrott did you get in contact with them yet? I’ve been considering, but it seems like something is not quite right. If you review the SEC info they speak of a merger within it I believe. I’ve seen analysts say don’t buy your stock via a credit card. However you could probably file a claim with Visa and get your money back since the “service” wasnt delivered. Now judging by these latest comments, I’m probably gonna pass. I hope I dont miss out big, but the facts aren’t leaning in High Times favor for me – not even the email hype campaign is swaying me to jump. I’m in! I’ve spent more at the bar on a Monday afternoon. Plus Hightimes has been there my whole life. I have a mag from 1984….. I’m a believer and in for the long haul regardless of what happens. Has anyone invested in this stock in 2019? I did this without thoroughly researching, which is unlike me, but I misread the date that that the stocks were offered and thought it just happened in March 2019. When I went back to confirm the termination date, I realized it was all in 2018. So far the purchase has not shown on my account and now I am hoping it doesn’t. If you invested in 2019, please let me know if the purchase ever showed on your account. Mine did. I did the same thing you did and invested like last week (4/10/19 or so). The investment shows on the account. I didn’t invest too much, so I am going to let it ride, but I almost sunk another couple hundred in it until I saw this. I just invested about or on April of this month…i checked and yes they took my money out of my bank account..i made a following phone call to get More info but was met by a answering machine is some sort… I’m really scared..i hippie I made the right decision..I’ve lost too much money trusting strangers with good ideas…can somebody tell me what’s been gong on so far please?? ?